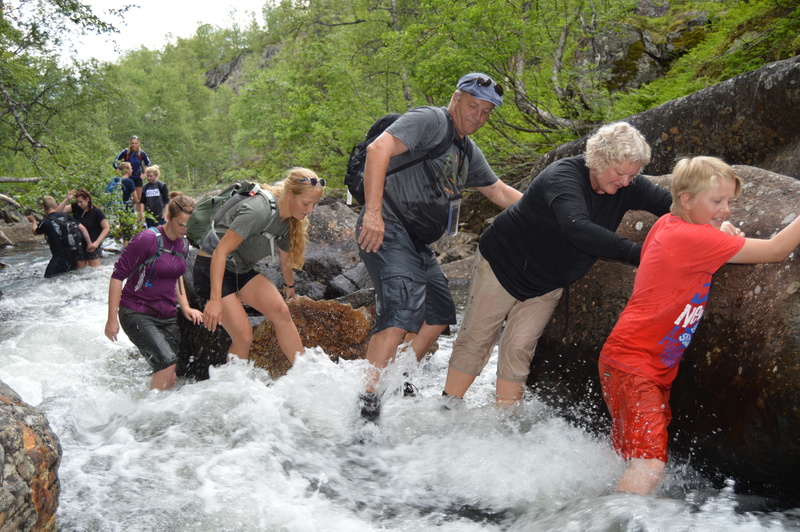 A short distance away from the center of Beitostølen you will find Raudalen and Gipa, where our gorge walk trips take place. Gorge walk involves walking up the canyon in the river, so you will get wet! During the trek we pass waterfalls of up to 100 m and other spectacular "photo moments" along the way. The trip requires medium fitness. We start the trek at 700 meters altitude and finish at 1080 m. Along this trip we pass waterfalls of up to 100 m and here you will really feel the forces of white gushing water. Large sections of this trip is in the river canyon. If you feel like it, we can stop along the way for guests to take a short swim. Half-way through the trip we take a break and make coffee / tea over an open fire. 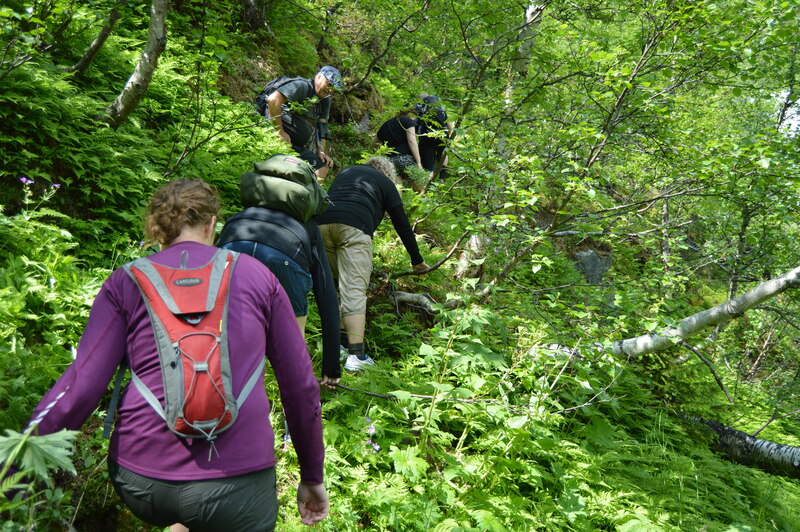 Guests should bring some food/packed-lunch, a cup, and dry clothes/shoes to change into at the end of the trip. The trip takes 4-5 hours, depending on the water level. Gipa is a V-shaped valley formed by the river. There is plenty rhizocarpon geographicum here which indicate that the valley is several millions of years old. When we enter into the river, team work skills are a must as participants must help each other to block the various rapids on the trek. We stop at the 50 meter waterfall and take a break. From here, the trek proceeds to the next plateau with a view straight towards the 100-meter waterfall. From here we begin on a pitch which is about 45 degrees, which leads us up to the top at 1080 m.
Age limit: From 10 years in the company of an adult. Participants under 18 years must have a parent or guardian to sign. Price: NOK 550- / adult. Meeting place: Beitostølen Aktiv & Ski School office. If it is raining: The trip goes ahead as planned, bring a rain coat. Equipment: For footwear we recommend old / used sneakers and wool socks. In good weather,shorts and t-shirt.